Test yourself (and your colleagues) by taking part in the Hamilton Smart Lighting Control Challenge at ELEX Alexandra Palace. 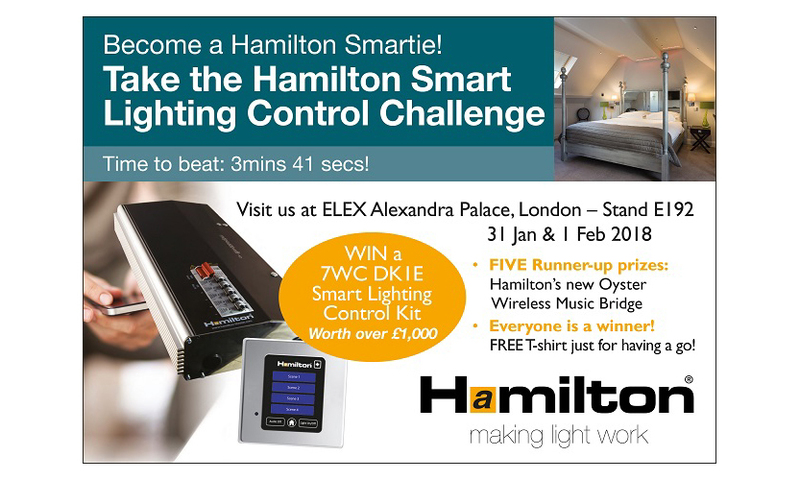 Hamilton Litestat will again be holding its Smart Lighting Control Challenge at selected ELEX events throughout 2018, with the first challenge taking place at Alexandra Palace on 31st Jan – 1st Feb, Stand: E192. For the challenge, show visitors will be pitched against the clock to wire one dimmer pack and one control plate for the chance to win a fantastic prize worth £1,000. New for 2018, Hamilton will now have TWO smart control challenge units on the stand, meaning electricians can challenge each other to complete the wiring task. Pitch yourself against your colleagues/mates to see who finishes the quickest and gets to claim bragging-rights! The prize for the fastest time during each show is £1,000 worth of smart lighting control, with the five runner-up places winning Hamilton’s new Oyster Wireless Music Bridge, due to be officially launched in spring 2018. During 2017, the fastest time achieved was an astounding 3 mins 41 secs, set by Barit Yirgit, an electrician from North London. Plus, during the show last year, the top six fastest installers all completed the challenge in under six minutes. 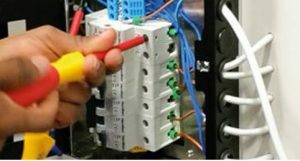 With smart controls becoming increasingly popular, Hamilton is offering FREE training courses at its facility in Mere, Wiltshire throughout 2018. Visit the Hamilton website here or the company’s stand at ELEX events for more information and for the 2018 training course dates. Next : Electrical Supply to an Outbuilding – Is it Sufficient?